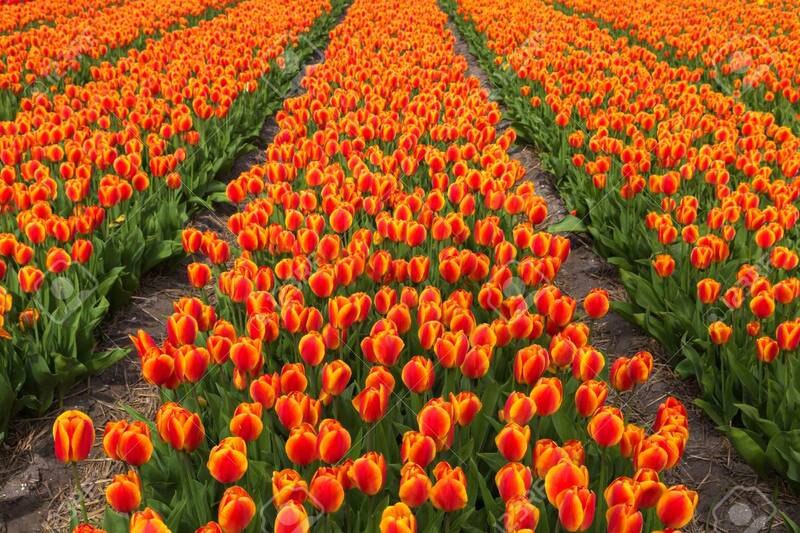 Field Of Orange Tulips Flowers. Orange Tulip Is A Dutch Symbol By The Name Of The Dynasty Of Oranje. Spring Blooming Tulip Field. The Netherlands Flower Industry. Lizenzfreie Fotos, Bilder Und Stock Fotografie. Image 100379224.